This little Green-Black school pen is back in rotation after only 72 days rather the average of 140 due to a quirk in my new pen/nib/ink selection method where I select by nib. It is good to use this pen again so soon. 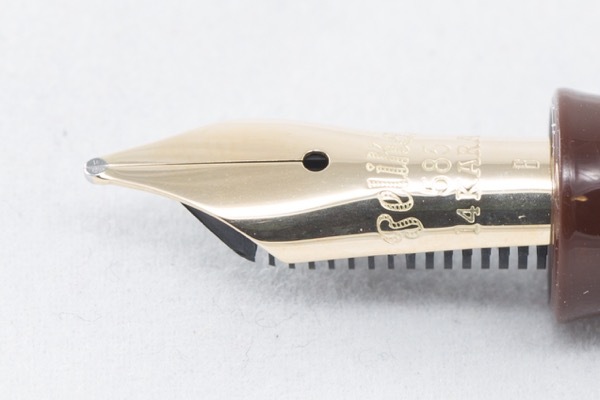 My broad M101N nib that is rather wet and slightly squeaky. I had long resisted buying any Kyo No Oto ink because I knew once I get one I would have to collect them all. Well I have two of these inks now thanks to a fellow Fountain Pens Australia member who was culling his ink collection. I will probably buy the remaining five colours in the coming weeks. 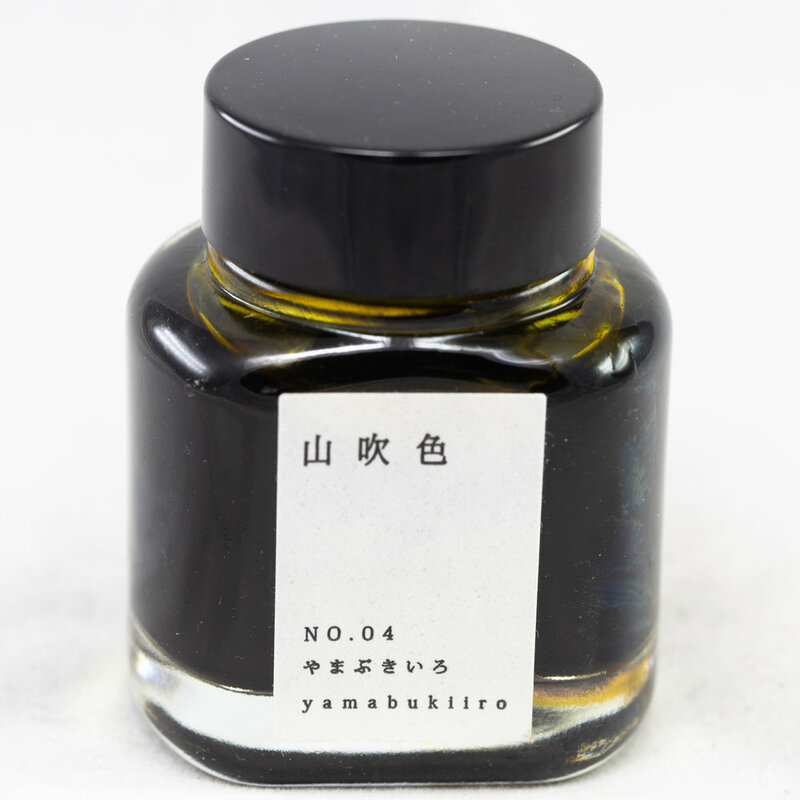 Kyo No Oto inks comes in a nice little squat 40ml bottle that are a good shape to a fill from. I so love the minimalism that are these inks labels. Yamabukiiro is named after a flowering plant from the Rosaceae family. It is a lovely golden yellow but my scanner produces an image slightly darker than reality. This ink shades well and I really like the sunny colour.